Our goal is to connect people with the best local experts. We scored personal injury lawyers on more than 25 variables across five categories, and analysed the results to give you a hand-picked list of the best personal injury lawyers in Atlanta, GA.
Ashenden & Associates, P.C., is a small legal team with more than 50 years of combined experience as Atlanta personal injury attorneys. The firm represents clients in catastrophic injury and wrongful death cases, many the victims of negligence or wrongdoing in trucking accidents. Attorney Thomas Ashenden is a Sustaining Member of the American Association for Justice, and Attorney Laura Maki is an American Bar Association leader. Clients have recommended the attorneys for their patience, knowledge, and personableness. Personal injury attorneys at Atlanta’s Gary Martin Hays & Associates, P.C., are hired for their skills and empathy. More than 30,000 Hays clients have recovered damages in serious injury cases involving violence due to negligent property security and all kinds of vehicle accidents. Attorney Hays has published a dozen books including two on Georgia personal injury and workers compensation law. He is active with MAAD and bicycle and pedestrian safety education. The firm can assist clients in Spanish. The Atlanta trial attorneys of Glass & Robson have recovered millions of dollars in compensation for clients suffering from personal injuries due to someone else’s fault. The firm’s lawyers selectively take cases so that they can be accessible and actively involved with each. Attorney Glass is a Georgia Trial Lawyers Association and Georgia Bar Journal leader, and Attorney Robson is admitted to practice before the U.S. Supreme Court. Past clients have characterized Glass and Robson as detailed, caring, and trustworthy. Grant Law Office is an Atlanta personal injury law firm led by a team of attorneys with more than 25 years of experience each. Attorneys Wayne and Kimberly W. Grant assist individuals and families suffering permanent injury or wrongful death due to another’s negligence in truck and car accidents and medical malpractice. Mr. Grant is Medical Malpractice Law Board Certified by the American Board of Professional Liability Attorneys. Past clients recommend Grant Law Office for the attorneys’ thoroughness, honesty, and care. Attorney Richard S. Griffin is a Metro Atlanta personal injury and wrongful death attorney committed to helping families. He founded Griffin Law Firm, P.C., in 1995 and has recovered compensation for clients in truck and car accident, dog bite, and slip and fall cases. Many rating organizations recognize Attorney’s Griffin’s ethics and skill, including Martindale-Hubbell and the Million Dollar Advocates Forum. He participates with Friends of Disabled Adults and Children and serves on the board of Keep Georgia Safe. Hagen, Rosskopf & Earle Attorneys at Law has assisted more than 10,000 Metro Atlanta clients suffering from personal injuries. Attorneys Bruce Hagen and Ken Rosskopf are bicyclists who advocate for justice for cyclists injured due to driver, manufacturer, or property owner negligence or defect. Firm partners are Atlanta Bar Association and AAJ members, and Attorney Rosskopf co-founded a national group of bicycle lawyers. Hagen, Rosskopf & Earle sponsors community education about cycling safety. James M. Poe, P.C., is an experienced and energetic father and son team of Atlanta personal injury attorneys. The firm handles many cases for child victims and their parents. Results include settlements and verdicts supporting victims of car, truck, and motorcycle accidents as well as medical malpractice and property owner negligence. Attorney Jim Poe has been a member of the State Bar of Georgia since 1964 and received a Georgia Trial Lawyers Association Champion of Justice award in 2014. Jones & Swanson attorneys with more than 75 years of combined experience represent injured individuals throughout the Atlanta area. Both law partners have deep Marietta community connections and Cobb County Bar Association leadership experience. Attorney Andrew W. Jones has served as an executive for the State Bar of Georgia and helped to recover $50 million for clients from high profile retail, service, and transportation corporations. Jones & Swanson clients appreciate their lawyers’ professionalism and success in building trust. Kalka & Baer LLC has been handling Metro Atlanta personal injury law matters for more than a decade. 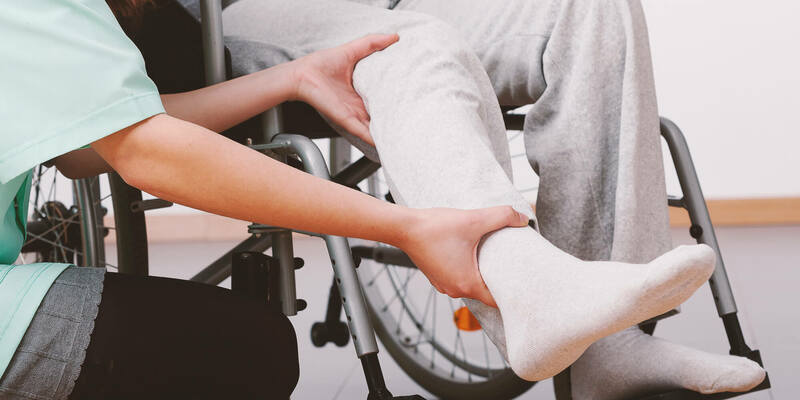 Successful cases include relief for clients suffering due to property owner negligence, nursing home abuse, and trucking, auto, motorcycle, and bicycle accidents. Attorneys Kalka and Baer apply their prior career experience defending insurance companies and corporations to assess injured clients’ realistic likelihood of success. The legal team has achieved membership in the Million Dollar Advocates Forum and served as Georgia Trial Lawyers Association leaders. The Law Offices of Andrew E. Goldner, LLC, has recovered millions of dollars in relief for Atlanta personal injury clients within half a decade. Clients are primarily families and victims of serious injury or wrongful death resulting from trucking and car accidents, nursing home abuse, and premises liability. Attorney Goldner has led the North Metro Trial Lawyers Association and volunteers at MADD events in Metro Atlanta. He receives accolades for his empathy and healthcare legal knowledge. Millar and Mixon Law Firm, LLC is a team of Atlanta attorneys who have been helping clients with serious personal injuries for close to 25 years. The firm has won trial verdicts and settlements in cases involving wrongful shooting death, car and trucking accidents, and product liability. Attorney Bruce Miller teaches on complex litigation at the Emory law school. Attorney Anthony Jones II is an elected Georgia Trial Lawyers Association leader and member of the National Black Lawyers Top 100. Monge & Associates is a Metro Atlanta personal injury law firm known as “The Georgia Hammer.” More than 50 personal injury attorneys and legal staff assist individuals and their families recover monetary compensation for car accident and workplace injuries. Attorney Scott Monge has two decades of experience and maintains the highest AVVO peer and client ratings. The firm includes staff fluent in Spanish. Clients have characterized Monge as professional, friendly, and determined to win. Montlick & Associates, Attorneys at Law, is a team of more than 40 personal injury attorneys serving injured individuals and their families throughout the Southeast, including rural and small town communities. Attorney Montlick recruits lawyers with ethics and character. The firm receives many patriotism and community service awards, including a Georgia state resolution of honor. Many negligence, auto collision, and medical malpractice cases have involved children, and Montlick has recovered over one billion dollars for clients. Atlanta attorneys at Pope & Howard, P.C., who are elected leaders of the Georgia Trial Lawyers Association and State Bar of Georgia, focus their practice on supporting individuals injured by another’s negligence or wrongdoing. Established in 2005, the firm handles a range of personal injury cases, including tractor trailer, aviation, and construction site accidents. Peer lawyers frequently honor and recommend Pope & Howard because of their thorough investigation and success in obtaining justice and substantial financial recoveries for injured clients. Lawyers at Prior, Daniel & Wiltshire, LLC, with over half a century’s combined experience, assist Metro Atlanta personal injury clients. The legal team applies experience in business and criminal defense law as well as previous work representing insurance companies. Attorney Michael C. Daniel has recovered millions of dollars for brain injured individuals, and Attorney Richard T. Prior served as an Air Force judge advocate. All firm lawyers have high AVVO and Martindale-Hubbell ratings for ethics and legal ability. The law firm of Sammons & Carpenter, P.C., handles a range of Metro Atlanta personal injury cases related to trucking and automobile accidents, medical malpractice, and property owner negligence. Attorneys Sammons and Carpenter previously worked at large insurance and corporation defense firms and apply that experience in litigating victims’ cases. They have received numerous peer attorney awards and recognition from clients for reliability and timeliness. Both partners are admitted to practice before Georgia’s Supreme Court. Singleton Law Firm has been providing Metro Atlanta personal injury legal services for a quarter century. Cases involve battling insurance companies to win automobile, trucking, and slip and fall accident claims. Attorney Don Singleton has been a municipal court judge and is a North Fulton Bar Association and GTLA Champion member. He is also in the Million Dollar Advocates Forum and receives high ratings such as TNTL’s Top 100 Trial Lawyers. Past clients appreciate Singleton’s straightforward communication, knowledge, and timely settlements. The Law Offices of T. Andrew Miller is a small Atlanta personal injury firm providing efficient and personal legal assistance throughout Georgia. Clients have received settlements for serious injuries on worksites and in catastrophic car and truck accidents. Attorney Miller previously defended companies against workers compensation and injury claims and now applies that experience in his negotiation on behalf of victims. He is licensed to practice in all Georgia courts and has top Martindale-Hubbell ranking in ethics and legal ability. The Mulholland Law Firm, P.C., handles Atlanta personal injury matters through negotiation, trial litigation, and appeals. Favorable settlements for injured individuals and families have involved workplace, truck, and car accidents as well as defective products. Attorney Robert Mulholland’s select memberships include the State Bar of Georgia, ABA, AAJ, and Million Dollar Advocates Forum. He consistently receives top attorney designations such as Super Lawyer and Martindale-Hubbell ranking. Eighty-five percent of Mulholland personal injury clients come from attorney referrals. The Weinstein Firm LLC in Atlanta is a group of personal injury attorneys with an aggressive approach to representing accident victims. Atlanta Attorney Michael Weinstein is a member of the Atlanta and American Bar Associations and American Association for Justice. He and his associates travel to clients to support them and build their cases. Attorney Weinstein has recovered maximum compensation for personal injury losses involving trucking and DUI wrecks, wrongful incarceration, and negligent daycare matters. Assistance is available in Spanish.